Oxford, UK -- Buddhist metaphysics and modern symbolic logic might seem strange bedfellows. Indeed they are. The thinkers who developed the systems of Buddhist metaphysics knew nothing of modern logic; and the logicians who developed the panoply of techniques which are modern logic knew nothing–for the most part–of Buddhism. Yet unexpected things happen in the evolution of thought, and connections between these two areas are now emerging. (As I write this, I’m on a plane flying back to Germany from Japan, where I’ve been lecturing on these matters for the last two weeks in Kyoto University) Let me try to explain as simply as I can. At the time of the historical Buddha, Siddhartha Gautama, c. 5c BCE, a common assumption was that there are four possibilities concerning any claim: that it is true (and true only), that it is false (and false only), that it is both true and false, that it is neither true nor false. The principle was called the catu?ko?i (Greek: tetralemma; meaning ‘four points’ in English). We know this because, in some of the sutras, the Buddha’s disciples ask him difficult metaphysical questions, such as the status of an enlightened person after death: does the person exist, not exist, both, or neither? They clearly expect him to endorse just one of these possibilities. Until recently, Western logicians have had a hard time making sense of this. Standard logic has assumed that there are only two possibilities, true (T) and false (F)–tertium non datur. In particular, there is nothing in the third ko?i (both true and false), and even if there were, it would be in the first two as well (true, and false). So the ko?is would not be exclusive. 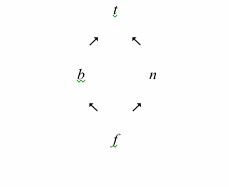 Given this ordering, the values interact with other standard machinery of logic, such as negation, conjunction, and validity. Matters, however, don’t end there. The Buddha refused to answer such tricky questions. Some sutras suggest that this was because it was simply a waste of time. Others hint at the possibility that sometimes none of the four ko?is may be the case. And this is just what later metaphysics suggested. 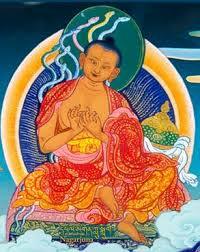 Nagarjuna (dates uncertain, 1st or 2nd c. CE) is perhaps the greatest Buddhist philosopher after the Buddha. His Mulamadhyamakakarika (Fundamental Verses of the Middle Way) was a text which was to exert a profound influence on all subsequent Buddhisms. And in this, he appears to say that some things are simply ineffable. The state of an enlightened person after death, for example, is such. Graham Priest is Boyce Gibson Professor of Philosophy at the University of Melbourne and Visiting Professor at University of St Andrews. He is the author of Logic: A Very Short Introduction.